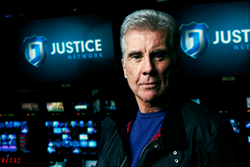 No one knows more about justice than John Walsh. As an acclaimed crime fighter and human and victim rights advocate, he is infusing his talent, experience and passion to Justice Network. His hourly public service announcements asking viewers to help find criminals and missing children can be seen as Justice Network goes live tonight at 6 pm (ET/PT). For a local market station finder, please visit http://www.justicenetworktv.com. Walsh helped Justice Network forge partnerships with The National Center for Missing and Exploited Children (of which Walsh was a founder), Crime Stoppers USA, and other law enforcement agencies. These organizations will funnel information about high-risk criminals and missing children to Justice Network for its 90-second public service announcements, including: 30 seconds to most wanted fugitives, :30 seconds to help locate missing children, and 30 second safety tips. Walsh hosts these announcements, which run on-air every hour, 24 hours a day, 365 days a year. Additionally, Justice Network will have a range of entertaining programming and gripping stories of true mystery that will keep viewers on the edge of their seats. 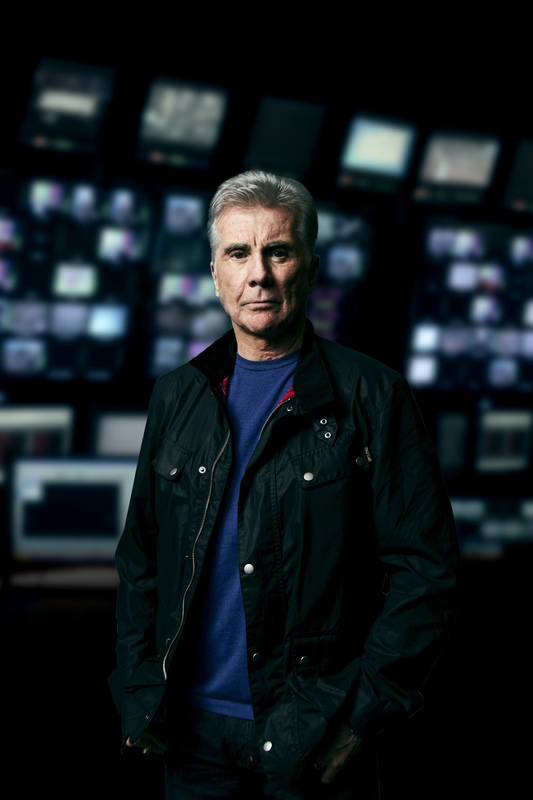 John Walsh is the host of CNN’s successful show The Hunt and was the Emmy award-winning host for 25 years of the highly-rated America’s Most Wanted, which has put over 1200 of the nation’s worst criminals behind bars and more than 60 missing children in the safety of their homes. Since the 1981 abduction and murder of Walsh’s six-year-old son, Adam, Walsh has dedicated his life to victims’ rights and capturing fugitives. The Senior Leadership Team of Justice Network includes founder Lonnie Cooper, founder of Bounce TV, one of the most successful multicast networks. Industry leaders from some of cable’s largest networks include CEO Steve Schiffman, former president of National Geographic Channels; Head of Distribution Barry Wallach, former president of NBCUniversal Domestic TV Distribution; and Head of Programming John Ford, award-winning programmer and former president of Discovery Channel. Wendy Brown, formerly of CSE, will serve as Justice Network COO. At launch, the Justice Network will have penetration in markets across 40% of the U.S. through partners such as Gannett Broadcasting. Justice Network programming will include series such as, Body of Evidence, Masterminds, The Investigators, Psychic Detectives, I, Detective, LA Forensics, Missing Persons Unit, Murder by the Book, Parco P.I., Alaska State Troopers, Extreme Evidence, North Mission Road, Haunting Evidence, Over the Limit and Dominick Dunne’s Power Privilege and Justice. For press release, downloadable high resolution images and embeddable sizzle reel, please visit http://www.justicenetworktv.com/media/electronic-press-kit. Follow Justice Network on Twitter at @JusticeNetTV and Like on Facebook at http://www.facebook.com/JusticeNetworkTV. Justice Network is dedicated to providing a first-of-its-kind public service initiative by catching fugitives, finding missing children and providing safety tips for its viewers. Proud to be the only multicast network with a public service commitment to making communities safer, the Justice Network recognizes crime affects everyone. For more information, including a station finder, please visit http://www.justicenetworktv.com/.